What are my responsibilities as a pedestrian in an accident? As a pedestrian, you have a duty to obey all traffic and pedestrian signals and signs. 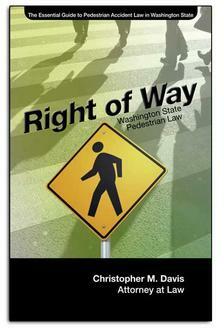 If you do not follow the law, you can be cited for jaywalking. If you are involved in a pedestrian accident with a motor vehicle you may be able to bring a lawsuit against the driver of the motor vehicle even if you are partially responsible for your pedestrian accident.